Our family has had the opportunity to “Pack for a Purpose” twice in the past two years and are very grateful and appreciative for this unique experience. 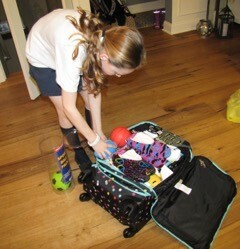 We first “Packed for a Purpose” on our trip to Costa Rica in 2016. What a simple, yet impactful concept! “Make your travels meaningful. Simply use a small amount of space in your luggage to pack supplies needed by community projects around the world.” Our hotel in La Fortuna supported Hogarcito, a local orphanage. So, we simply reviewed the list of supplies they needed, shopped and packed! Our concierge helped deliver the supplies. We “Packed for a Purpose” again in April 2017 when visiting Grand Cayman. 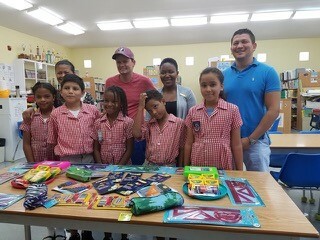 The local school was in need of many different school supplies. Although the school was on holiday break, we were thrilled to see these pictures of the students receiving our donations. Our goal as parents is to encourage our children to be altruistic, caring and aware that there are needs in every community around the world. 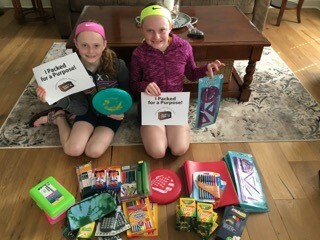 Programs like “Pack for a Purpose” certainly help make it easier! We look forward to our next experience!